Here are some things you will need to think about, once you have decided to sell your property. For more information, or if you have any questions, do not hesitate to give us a call. For residential property the law requires that a draft contract be prepared before the property can be offered for sale. This is usually done by a solicitor or conveyancer. If you are sure you are going to sell, instruct your solicitor or conveyancer to prepare the contract. This can take 1 – 2 weeks as your solicitor will have to do a title search and obtain various things from Council (a Section 149 certificate and a drainage diagram). The documents and reports listed below are very useful and can speed up the selling process. If you already have them, thats a great start. If not, discuss whether or not you should obtain them, with either your solicitor or your True Sales Agent. Survey. A survey will show the boundaries and where the improvements are situated on the property. Building Report. A report on the quality and condition of the building. Pest Report. A report on whether there is or has been any evidence of pest activity (termites, borers, and other pests). any encroachment of the building onto Council land. Certificate of Occupancy from Council. If you had the house built, Council should have issued you with a Certificate of Occupancy at the completion of the building works. Title Deeds. If you dont owe any money on your property you may hold the title deeds. If you have a mortgage on the property, your mortgagee (lending institution) will probably hold the deeds and will continue to hold on to them until the property is sold. House Plans. These can be very useful to pass onto potential buyers. Most people choose to use a real estate agent to sell their property. A good agent is an experienced and trained professional who will guide you through the selling process. Is the agent is active in your area, selling similar properties to yours. How professional is the agent? . Is the agent up to date with what is selling in your area? . How would you rate their marketing material? Look at things such as their ads, signs, marketing flyers, sales brochures and office. Do they have a web site, is it regularly updated and is it easy to use? What commission does the agent charge and what services will they provide you with? Cheapest is rarely the best. 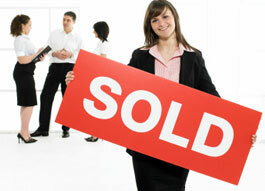 Basically, there are three main methods of sale – private treaty, auction and tender. Private Treaty. It involves listing your property for sale at a specific price. Interested parties then make offers through the agent. Negotiations continue until a price is agreed on. Contracts are then sent to the buyers solicitor and exchange of contracts occurs soon after. Auction. Sale by auction is where buyers compete for the purchase of a property by making successive bids, the property being sold to the highest bidder once the reserve price has been reached. Contracts are then signed and exchanged on the spot. Tender. This method is not often used for selling property. It involves putting the property on the market at an unspecified price and calling for the submission of offers prior to a certain future date. All offers are then considered, one of which may be accepted and the property is regarded as sold. For most of us, the family home is the most valuable asset we have. Not presenting it properly may cost tens of thousands of dollars. Carry out a major spring clean. Have the carpets professionally cleaned, wash down the walls (even consider repainting some of the badly marked walls), clean all the windows and doors, scrub down the kitchen and bathroom. Don’t forget outside and the garden. Wash down the outside walls and windows, perhaps even consider painting the eaves and gutters – you will be amazed how much smarter this can make a house look. Mow the lawns, weed the garden and generally make sure everything is tidy. Don’t forget the garage and the garden shed. Other things to look for include: dripping taps and toilet cisterns, cracked window panes, loose or missing tiles in the bathroom and kitchen, tatty fly screens, windows and doors that stick, handles that don’t work, blown light bulbs and cobwebs. Look at how much furniture you have in the house. Too much can make a house look cluttered and smaller than it really is. There are a lot of people who put their properties on the market who do not do these things. Just imagine how much better your house will look compared to theirs. It is best to give your agent a key to your home. The easier it is for your agent to have access to your property, the better. If you are home when your agent telephones for an inspection, a time can be made to bring the prospective buyers around. If you are not home and you are happy for the agent to use the key, the agent can come and do the inspection straight away. Otherwise we will provide you with 24 hours notice. Try to leave the house to the agent and the buyers during inspection times. Buyers will feel more comfortable if they know the owner is out. Make sure valuables such as jewellery, cash and wallets are not lying around. Make the property welcoming – light and airy in the summer and bright and cosy in the winter. Light the fire if you have one. Keep the major thoroughfares clear of toys and things so it is easy for people to move around.